You got RESULTs in Ghana! In northern Ghana, 85% of people depend on farming for their income, but find it increasingly difficult to grow enough food due to the effects of climate change. Children and their families have been vulnerable to food insecurity, lack of income and limited opportunities for the future. But thanks to Canadian support, over 144,000 people have changed their lives through the RESULT project. 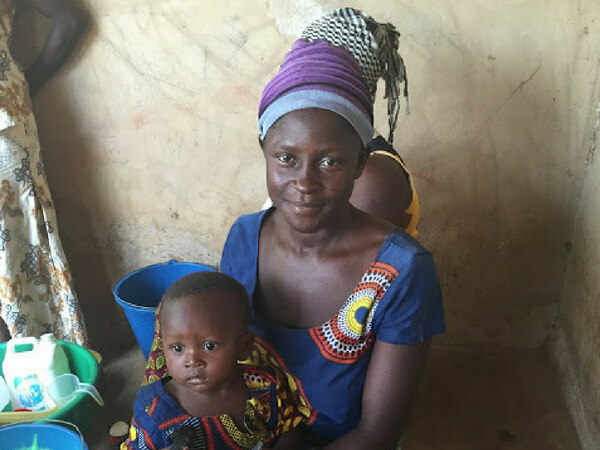 Here are just some of the ways you helped get RESULTs in Ghana. During the dry season, Augustina and her husband used to struggle to feed their family. Her husband would travel south to find work, but even then, it was difficult to support their children. The long months apart were also hard on their relationship. Augustina and her family became involved in RESULT’s dry season gardening program when they learned it could help keep her husband at home. 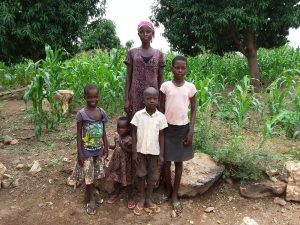 They received a water pump, seeds, fertilizer and other inputs to farm their land in the dry season. They now earn additional income to support their family, and best of all, the family gets to stay together. “Working with my husband in the garden keeps us together and strengthens our love. I am grateful to [CFTC and] the RESULT project for the support,” Augustina told us. 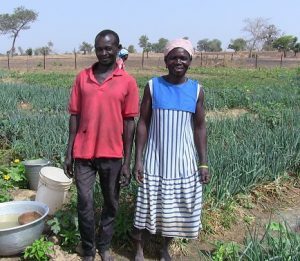 75% of dry season gardeners like Augustina and her husband reported increased yields, and 67% reported increased income, thanks to the RESULT project. Prudence learned a new livelihood – aquaculture – and changed her family’s life. Prudence and her husband had always farmed a small plot of land, but it wasn’t enough to sustain their family of six. She would even skip meals or forage for wild fruit to make sure the children got enough to eat. When she joined RESULT she learned improved farming practices, and was able to significantly increase her yields. But it was the aquaculture group that changed her life. Like most in her community she had always assumed that fishing was a man’s domain. But her group was made up of mostly women who became successful fish farmers. To date, up to 30 metric tonnes of fish have been produced by RESULT aquaculture groups like Prudence’s. 60% of participants were women. Thanks to her new livelihood and skills, Prudence has boosted her income and is comfortably providing for her family. The experience has opened her eyes to new possibilities for women in her community. One of the most transformative impacts of the RESULT project has been the empowerment of women in rural communities. In July 2017, the Honourable Marie-Claude Bibeau, Minister of International Development, visited the women of Punyoro to hear their stories. Nyaabah told the Minister how learning new farming techniques increased her yields and income. Azumah shared how she grew a herd of sheep using good animal care practices to protect her investment. 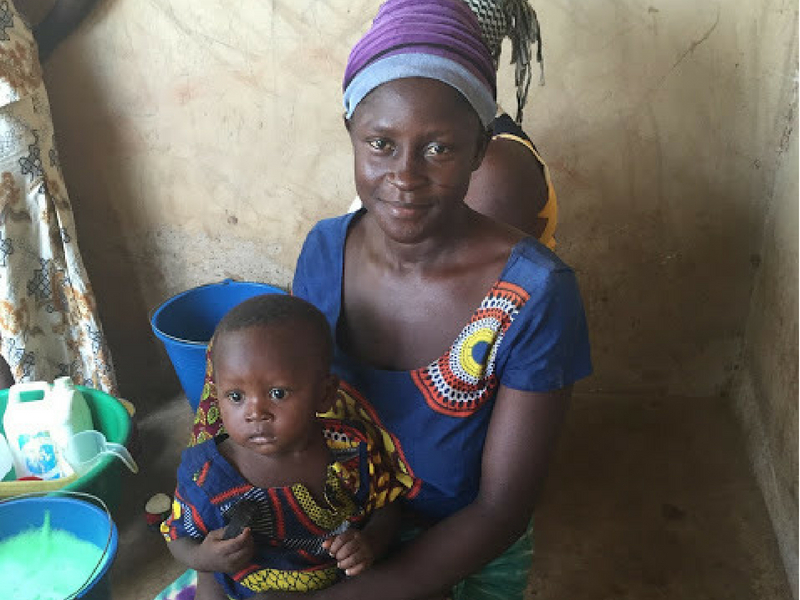 Many of the women talked about their Village Savings and Loan Associations (VSLAs) that helped them grow savings and take out loans for necessities without depleting their assets or going hungry to pay debts. But perhaps the most significant change they shared was this: while in the past women weren’t allowed to join discussions with men, they are now more respected and openly asked for their opinions. This is a direct result of the farming, savings and income they bring to their families. Thank you to all the generous Canadians who supported the RESULT project. Thanks to you, children and families have increased their food security, are earning more income, and have a chance to build a better future. Over 144,000 lives have changed, and it couldn’t have happened without you! The Resilient and Sustainable Livelihoods Transformation (RESULT) project is a six-year, $19-million project funded generously by the Government of Canada and private donors, delivered by CFTC in partnership with Association of Church-Based NGOs in Northern Ghana (ACDEP). Give monthly to help children and their families every day.